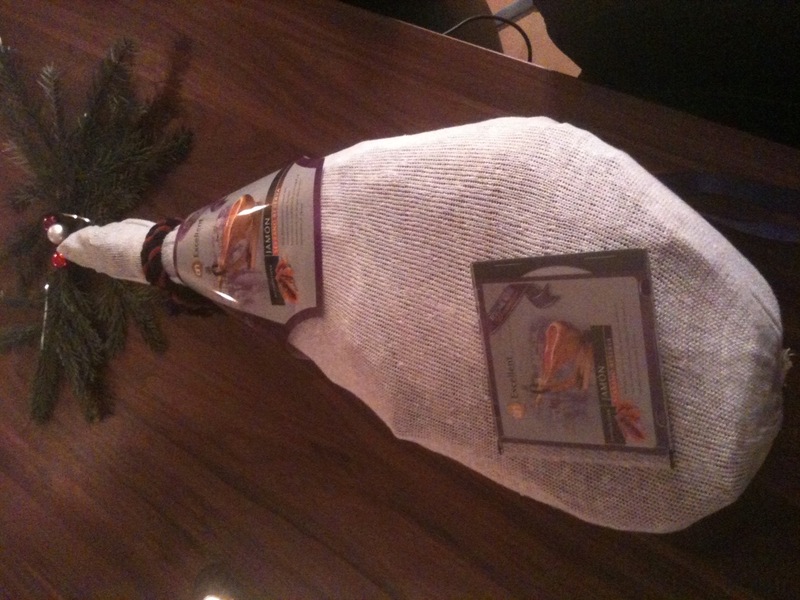 …but then Carel came home with a ham, a couple weeks before Christmas. We put it in the laundry room, and closed the door. 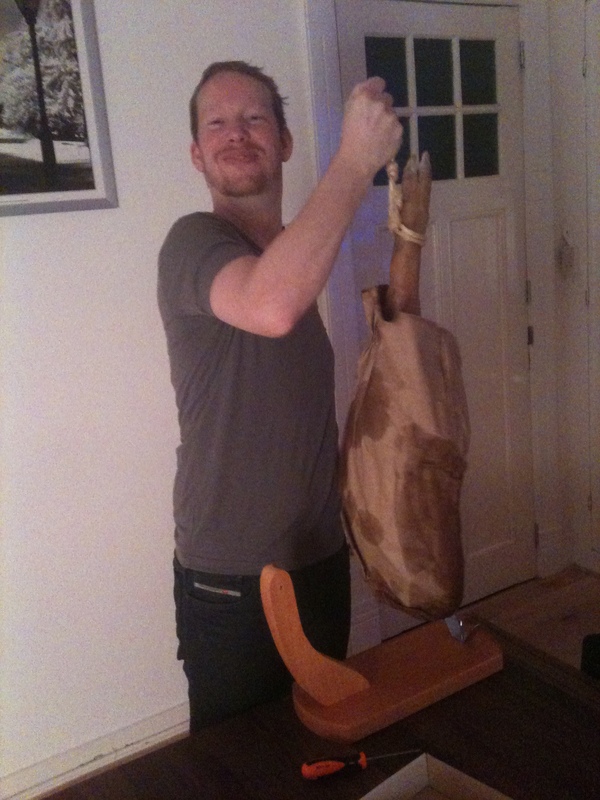 Thus began the Ham Saga. Every day she would go to Carel in his office, poke him in the elbow and moan and whine until he’d get up, then she’d lead him to the laundry room and poke the door with her nose, gazing expectantly at him. She did this several times a day every day, clearly thinking we were the stupidest humans ever created! How could we possibly fail to understand what she was telling us? THERE’S A HAM. 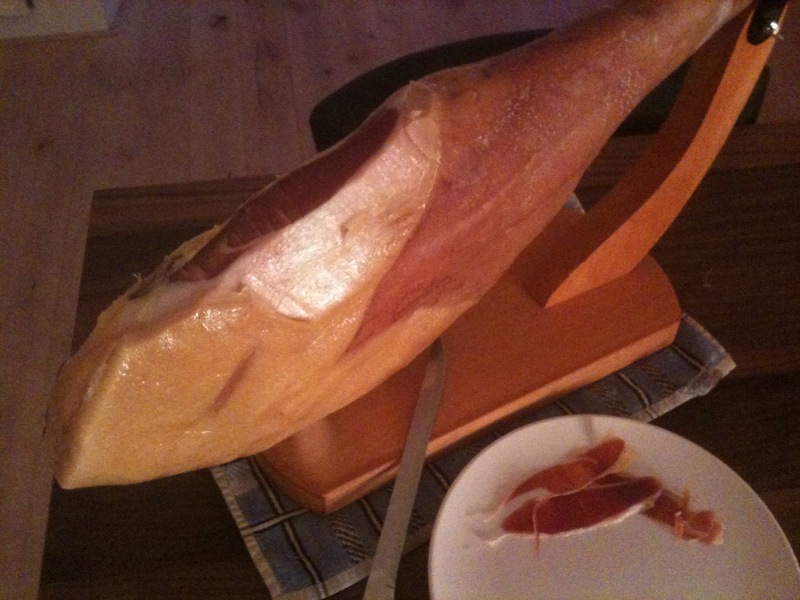 A HAM! At any rate, the stupid humans contrived to keep her away from the ham until the day we designated as “Christmas” (having spent the actual holiday with our families), when we opened the box it came in. Carel sliced some pieces of it. …and finally, FINALLY!! 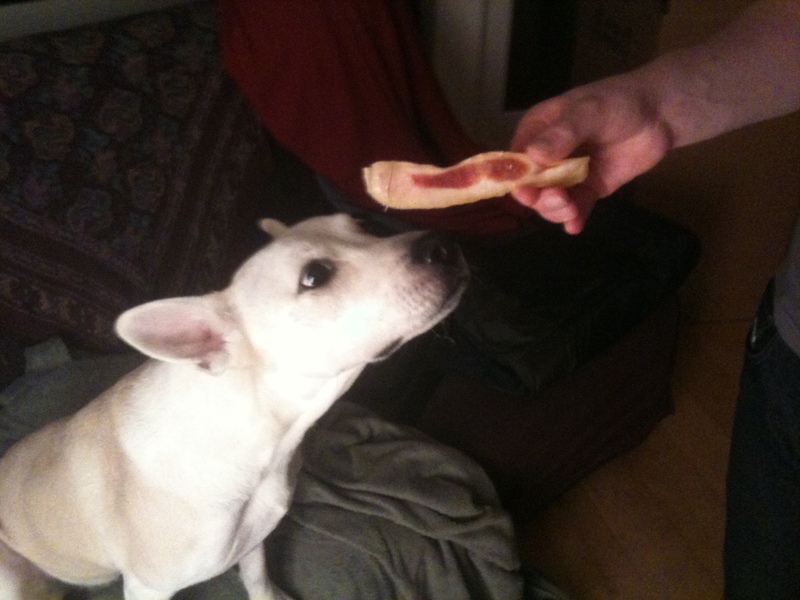 <imagine triumphant flourish of music> ….Daisy got her ham. I wish I could say “and then peace reigned across the land”, but it is not true. We put the ham outside for storage and we are now reminded regularly that THERE IS A HAM OUTSIDE. The remindings will continue until the ham is gone. This entry was posted on January 11, 2011 by Coyote. It was filed under Uncategorized . *laugh* It’s in a very high walled garden. Not even cats come in here. Even if they go and report it to their owners, they will NOT GET MY HAM. 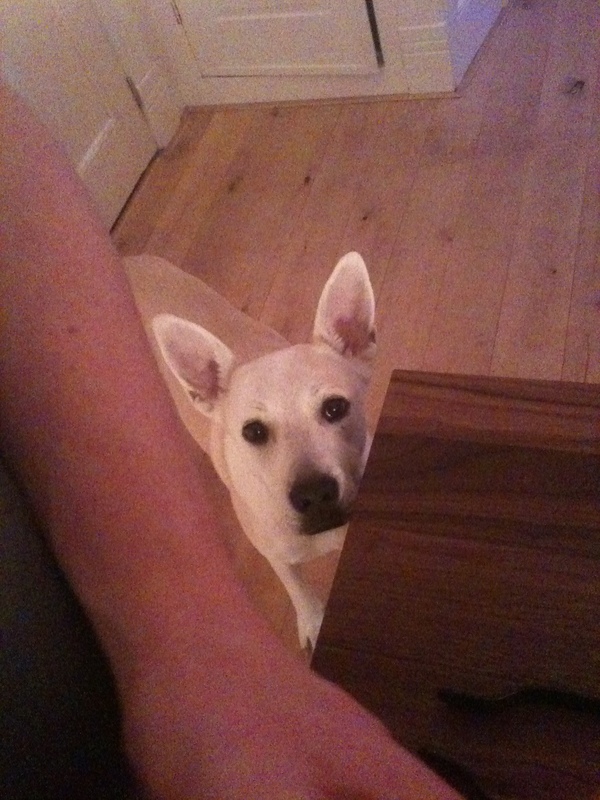 Er…Daisy’s ham. Wow, the poor tortured puppy! I am feeling like the doggie right now, I want some of that ham so bad.